Mateusz Jarża about Play Poland Film Festival graphic design: as a director of Polish Art Europe I have organised Polish film festivals abroad several times. From the beginning I knew the visual arts represented a natural and attractive addition to film screenings; that exhibitions and films could be presented simultaneously. Although my personal passion of connecting these complementary forms of image was not a sufficient reason to make that kind of programming decision, I wanted the idea to defend itself - thus, while looking for a common denominator, I considered the film poster. Visual art, image, complements the moving image landscape, and an array of internationally renowned film poster designers were born and created in Poland. Upon deciding to display Polish School of Poster heritage, I had to create an adequate graphic layout for the event. I was planning a cyclical festival, therefore I needed universal, distinguishable, and concise visual identification - a project which will give freedom to act with an absolute preservation of the event's identity, towards the future designers of festival posters. An excellent intuition was demonstrated by my friend from The Faculty of Arts in Zielona Gora - a graphic designer, Sławomir Łukuć. 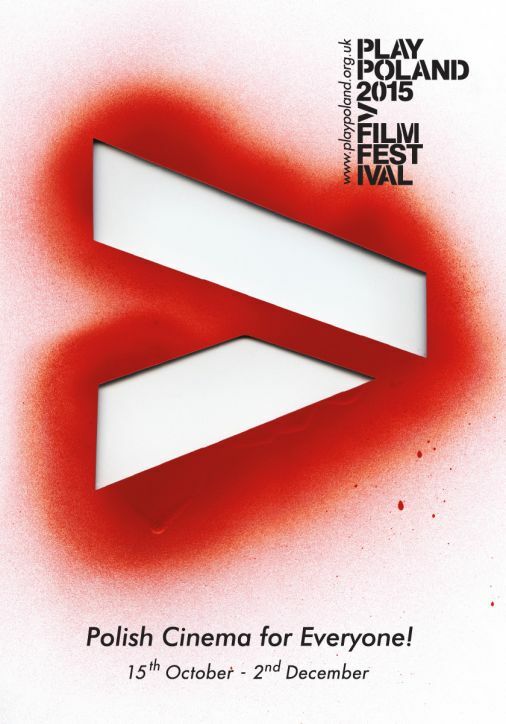 He became not only a creator of the first poster but also a co-designer of the name ‘PLAY’ (which in the end took the form of ‘Play Poland Film Festival’) followed by an equivalent graphic sign in the shape of a characteristic sharp bracket:>. The collaboration happened to be extremely fruitful and gave us a belief that it would be beneficial if we could pass on the torch of initiative to young artists. We have found a tradition of succession... with proceeding festival posters to be designed by young and talented inland graphic designers, followers of Polish masters. Although the boom of Polish School of Poster occurred after 1956, with its decline taking place in the 70's, some representatives of the movement are still alive and share their vibrant work. One of the most distinctive artists representing Polish poster today is Andrzej Pągowski. I made efforts to involve him in the festival, fully aware of the fact that such a recognized artist could refuse or demand conditions which I would not be able to meet. Meanwhile, through a few minutes of a phone call, he agreed to participate in the project. Additionally, he declared his personal arrival to the opening of the exhibition of his work. Proving to be a very sympathetic and supportive man, a few months later he agreed to be the honorary patron of Play Poland Film Festival. Since then, two editions of the festival have passed. Contact with Andrzej Pągowski over time transformed into a more intimate relationship. He was the one to suggest to create a poster based on Świerzy's sketches, as a kind of tribute to the deceased graphic. The project is certainly of personal importance for the artist. For Pągowski, Świerzy was a master - in his painting studio, under his guidance, Pągowski was educated during his studies. Świerzy as a more experienced artist introduced Andrzej Pągowski in the world of commercial poster. They share parallel importance and of quintessence. Both are characterized by a huge concentration and moderate means of artistic expression. The idea was accepted and quickly entered the implementation phase. Magdalena Świerzy, Waldemar's wife, agreed to use sketches of her husband. 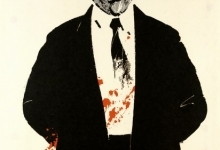 Andrzej Pągowski created the poster on that basis. You can see the graphic in the promo video of PPFF 2016. I feel happy and to some extent fulfilled - just six years after the birth of the idea of organizing exhibitions of film posters, I managed to engage the original design of two prominent representatives of the Polish School of Poster. And, in my opinion - this year's poster is magic! These few firm strokes communicate the main content of the festival. The world is not black and white - nor white-red. The times we live in… Around us live immigrants, the LGBT community; there are other perspectives to be treasured. Play Poland Film Festival wants to bring them to the audience. During its activity, Play Poland Film Festival organized more than 50 exhibitions in the UK, two in Canada and one in China. Most were screenings, with film posters pleasantly and meticulously framed around the festival vicinity, but there was space for photographs and other art forms. Most of them were seen by the people of Edinburgh (19) and Glasgow (22), but exhibitions appeared in Birmingham, Sunderland, Belfast, London, Ottawa and Shanghai. PPFF promoted in this way the works of: Mieczyslaw Wasilewski, Jakub Erol, Andrzej Pągowski, Stanisław Młodożeniec, Eryk Lipinski and Jacek Neugebauer. The implementation of these projects significantly helped supporters, whom shared posters from their collections. Special thanks to the Library of the University of Zielona Gora - led by Director Ewa Adaszyńska and curator Ewa Nodzyńska - from which we rented for a period of four years over 200 posters. Bruno Alexander Kieć - promoter of culture in Zielona Gora, longtime head of club music and art 4 Roses for Lucienne - handed to PPFF 200 posters. 100 posters were sent to us from Professor Franciszek Pilarczyk - art collector, creator of the gallery (prints, posters, prints etc.) at the University of Zielona Góra. This year, Play Poland Film Festival has not only exhibited Waldemar Świerzy's works, but provided as well online access to the selection. Visit the unique online exhibition of Waldemar Świerzy's posters.